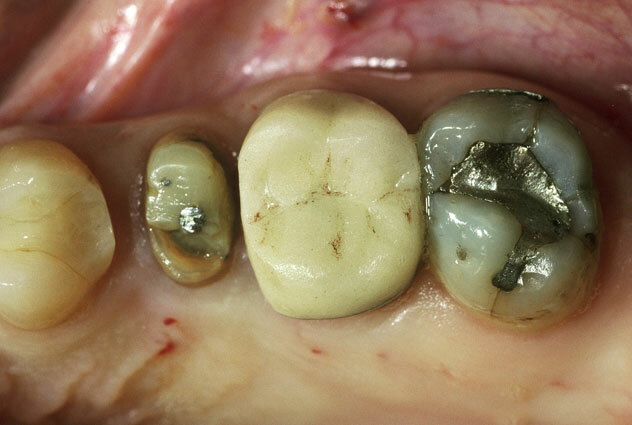 Very large, deteriorating amalgam restorations and severely broken down tooth. 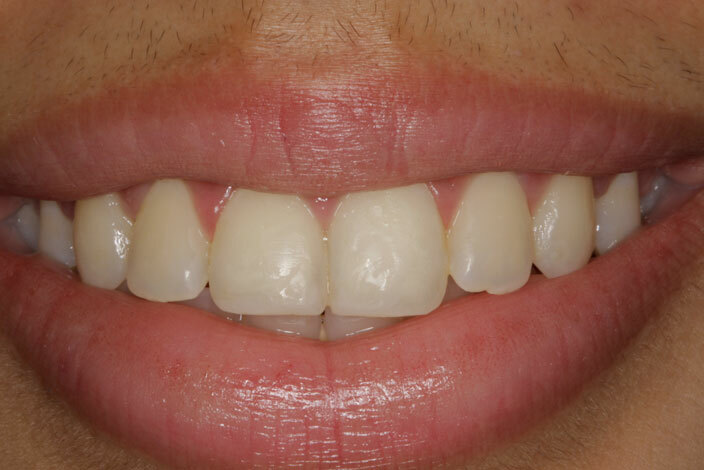 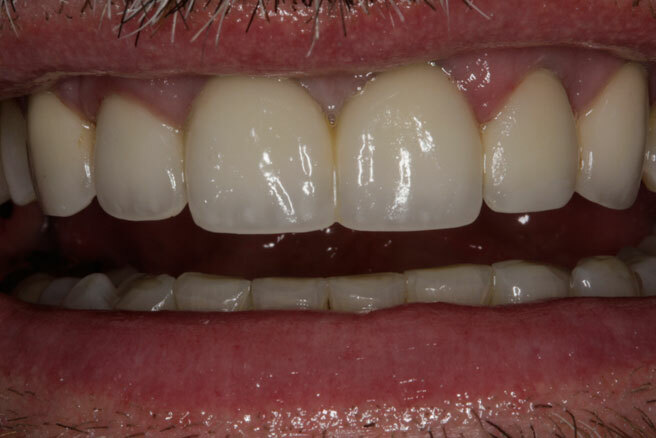 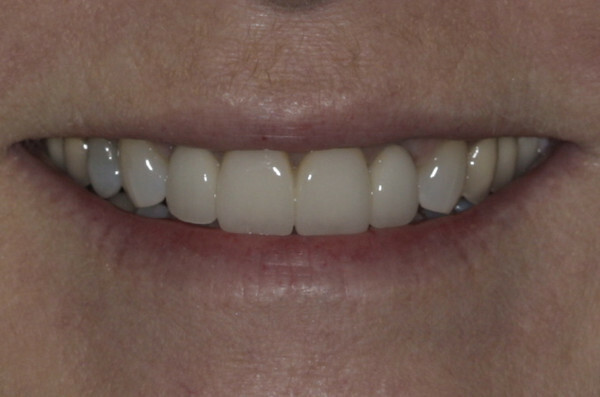 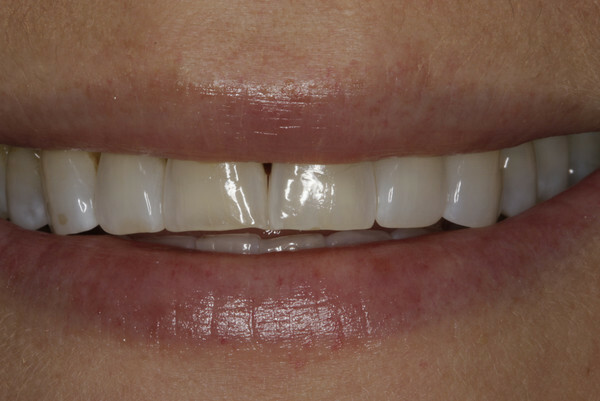 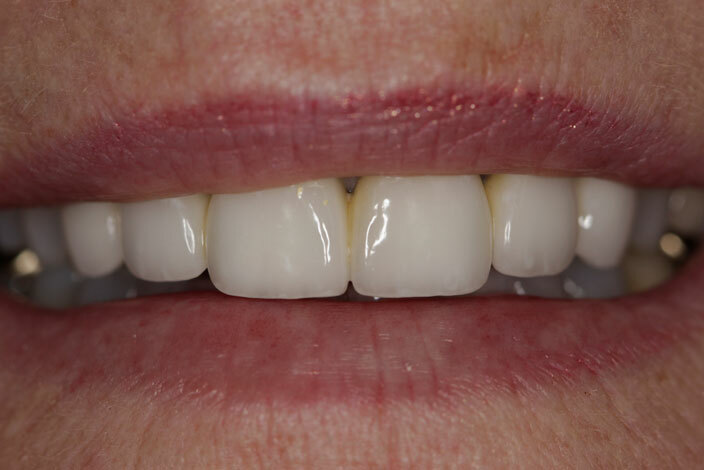 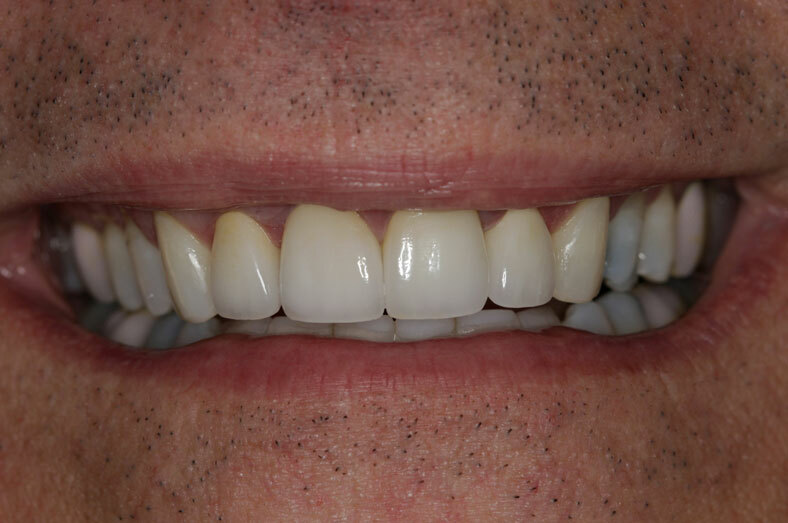 Strength, form and function restored with the use of full coverage porcelain crowns. 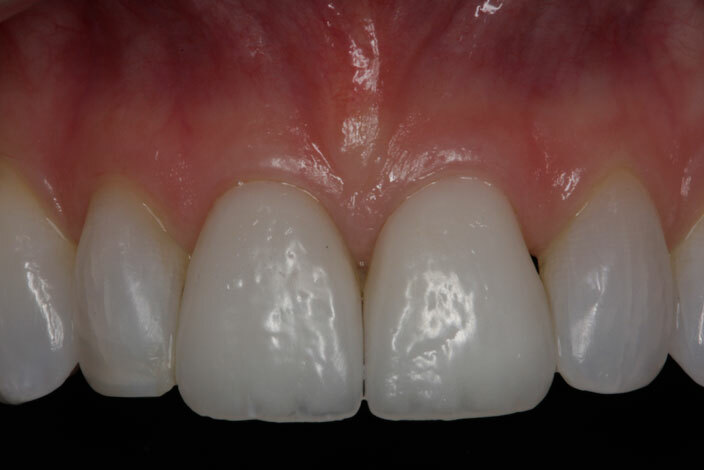 Porcelain crowns are used to improve strength, form and aesthetics of the teeth. 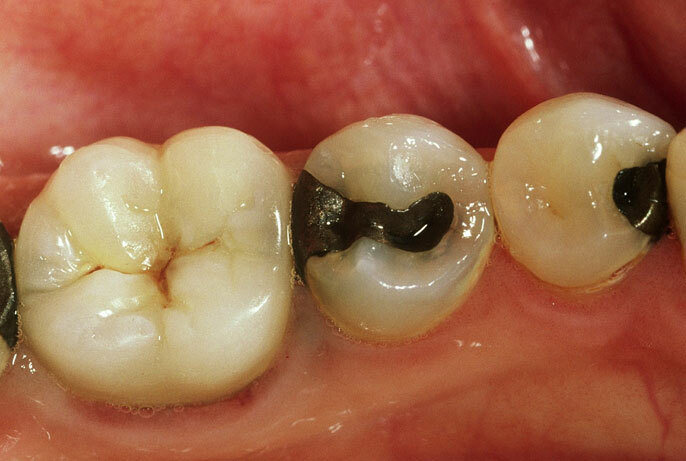 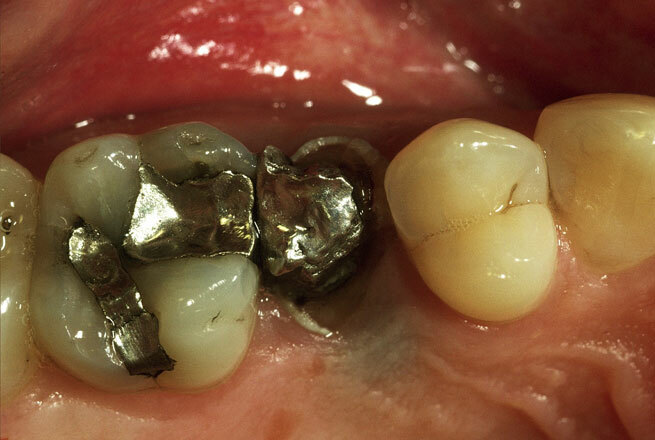 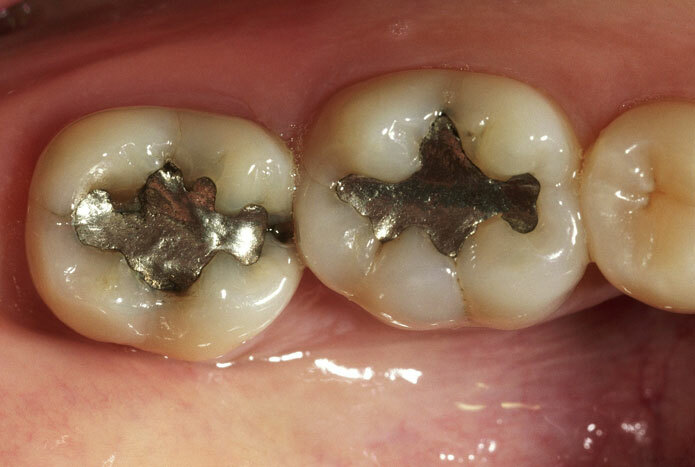 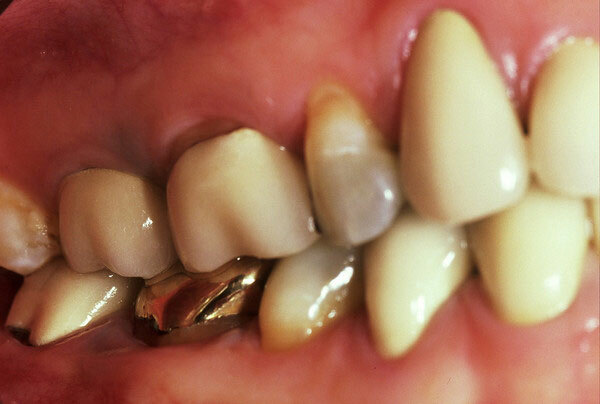 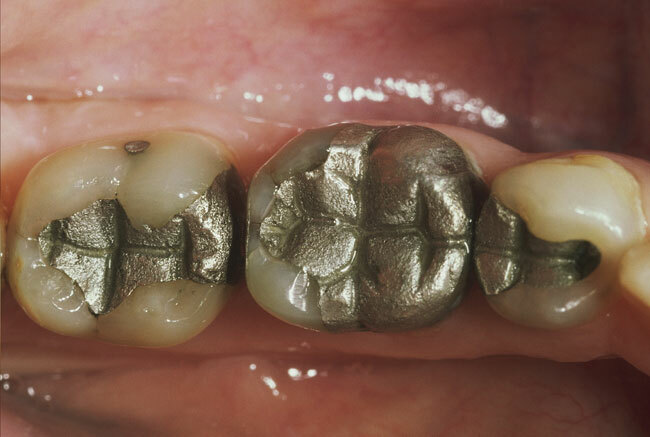 Several unhealthy conditions exist: poorly contoured composite filling and crown, leaking amalgam undermined with decay, a tooth with a missing cap. 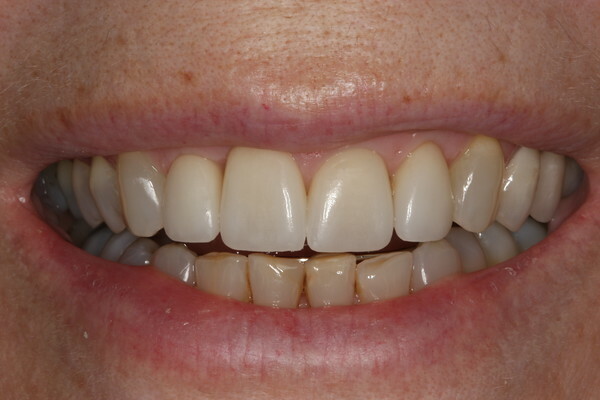 Porcelain crowns restore the form, strength and aesthetics of the teeth. 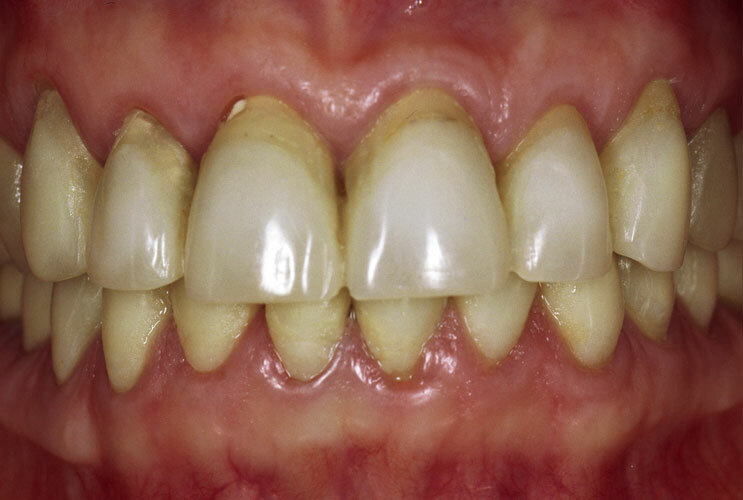 This patient lost a tooth due to an infection. 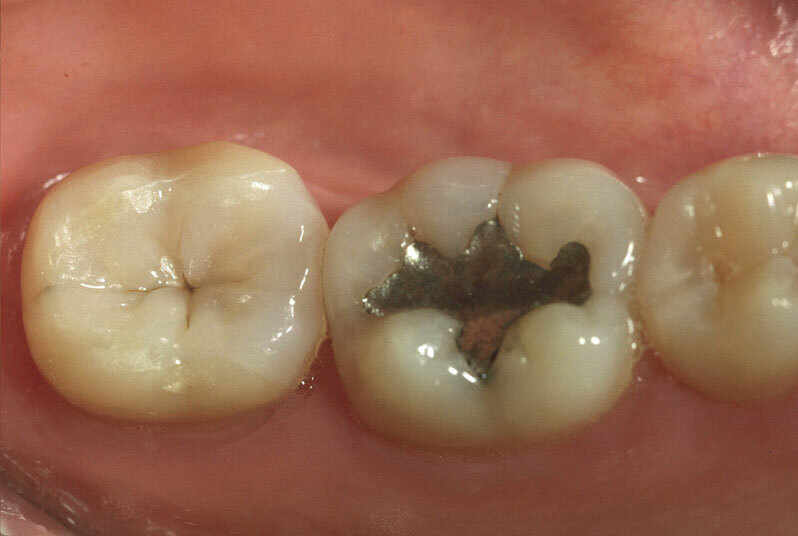 Note an old, existing crown on the molar and a failing silver colored filling on the bicuspid, making this patient a good candidate for a bridge. 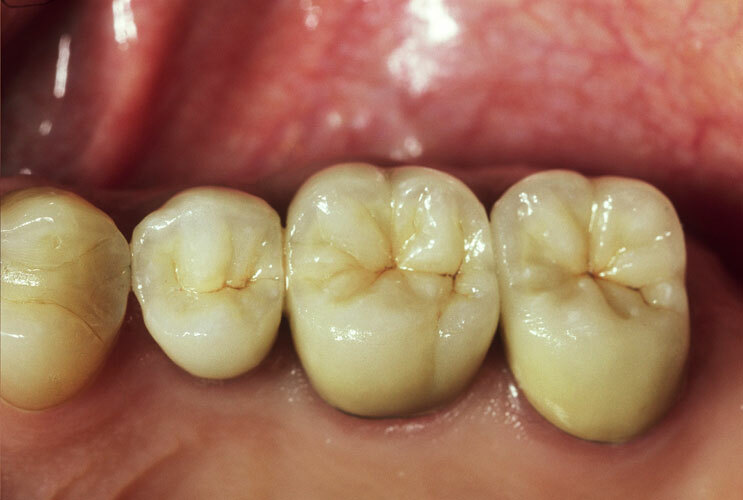 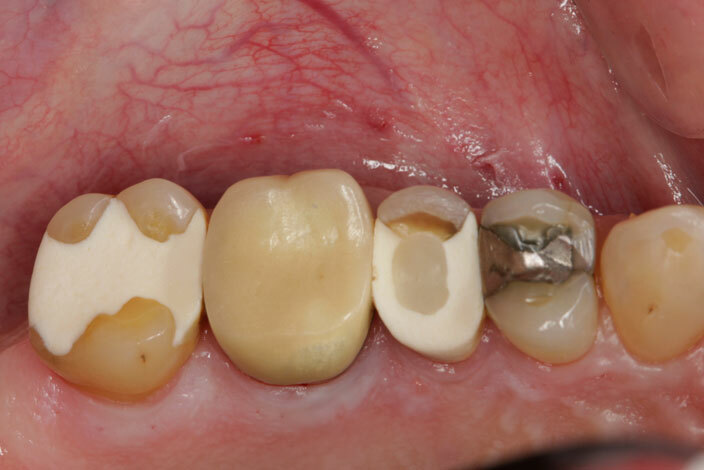 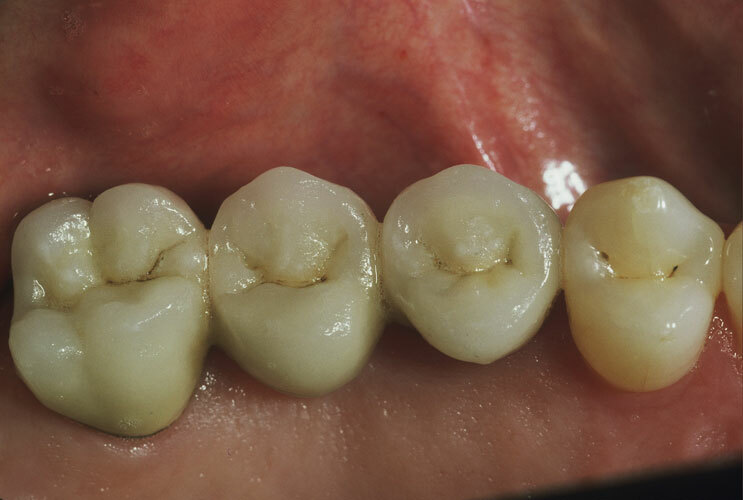 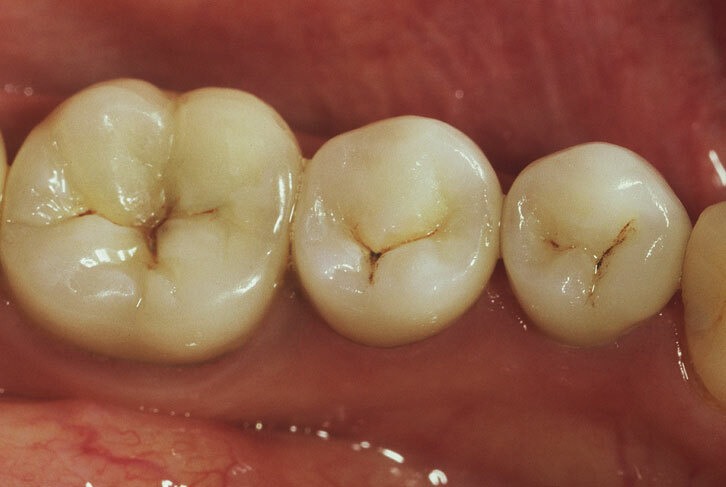 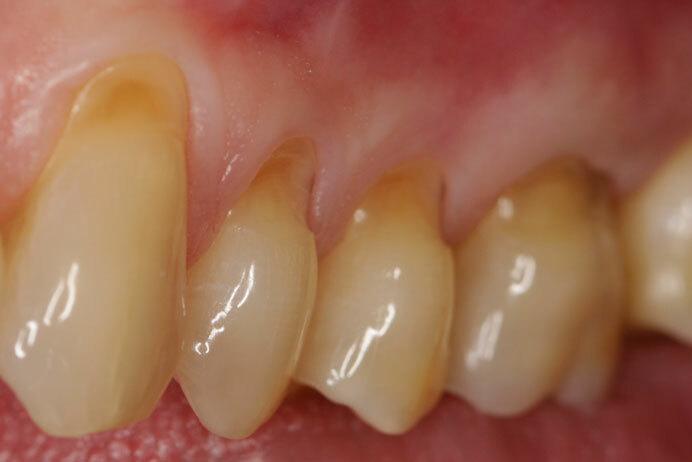 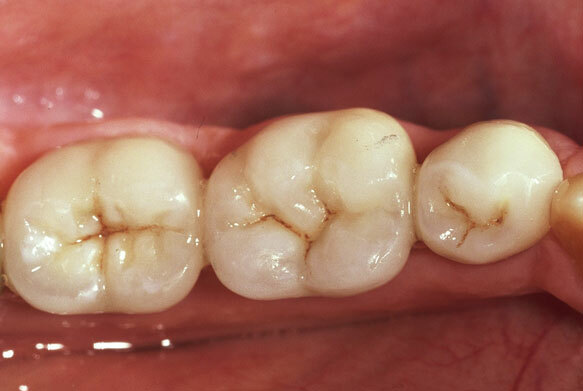 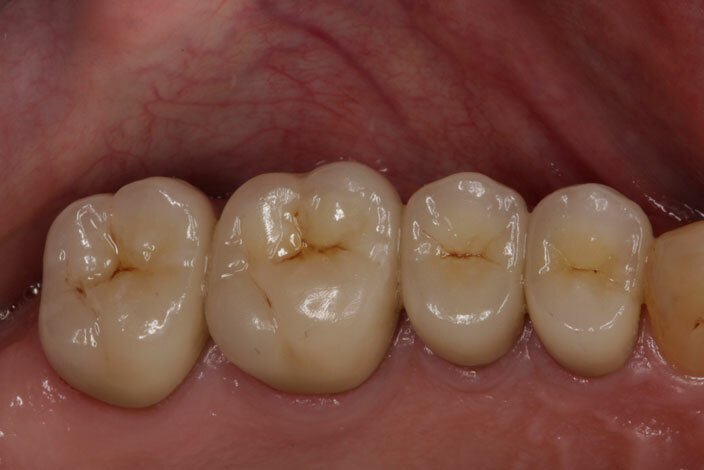 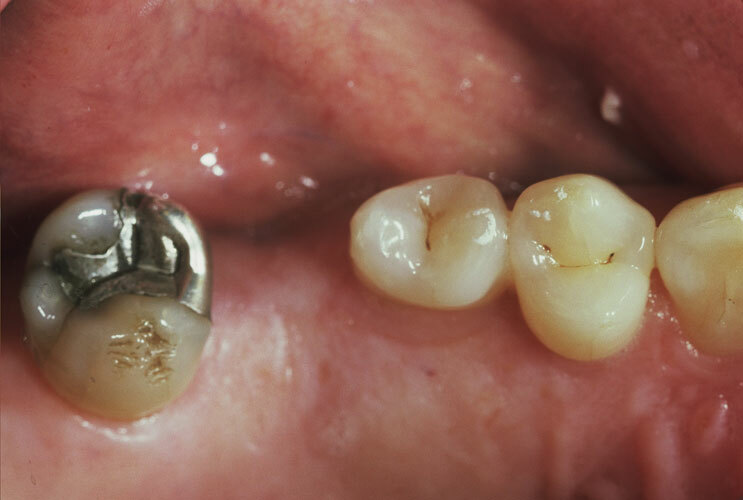 The porcelain bridge covers the old, existing crown and amalgam filling and fills in the gap, restoring the strength and function of the bite. 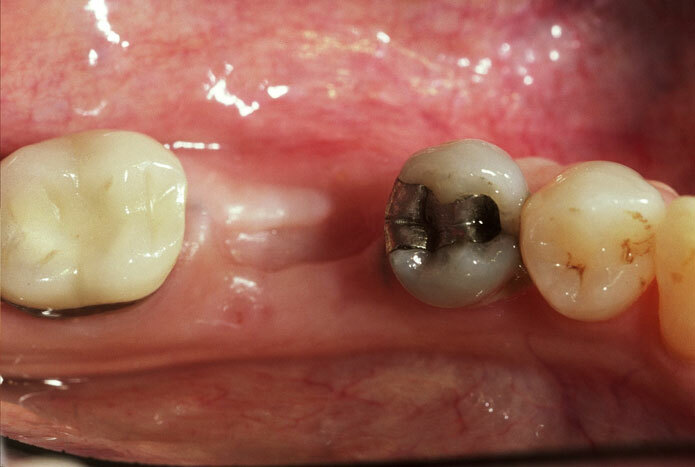 The tooth adjacent to the space has a large, leaking silver filling and on the other side the natural tooth is rotated. 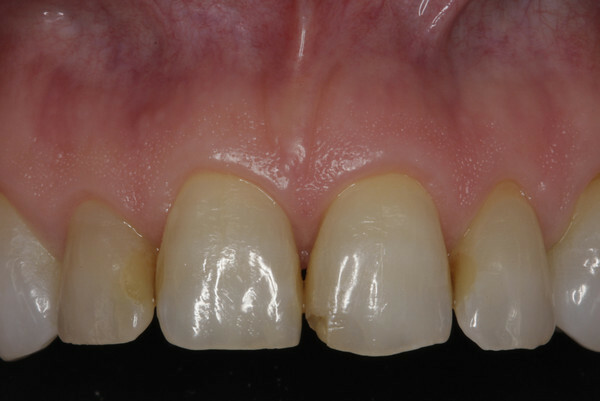 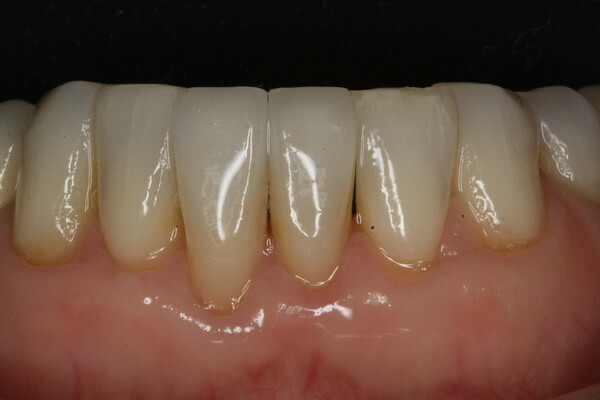 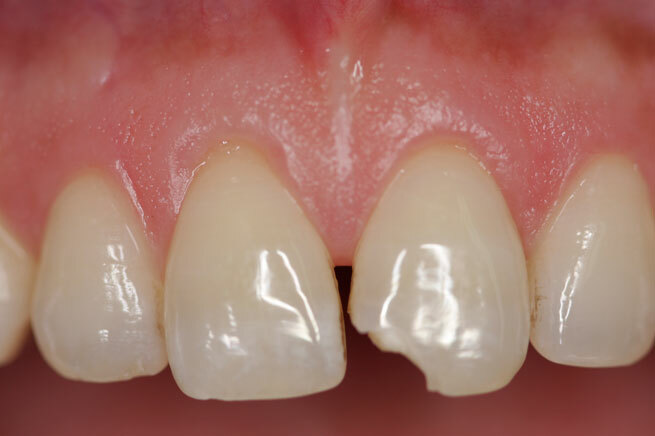 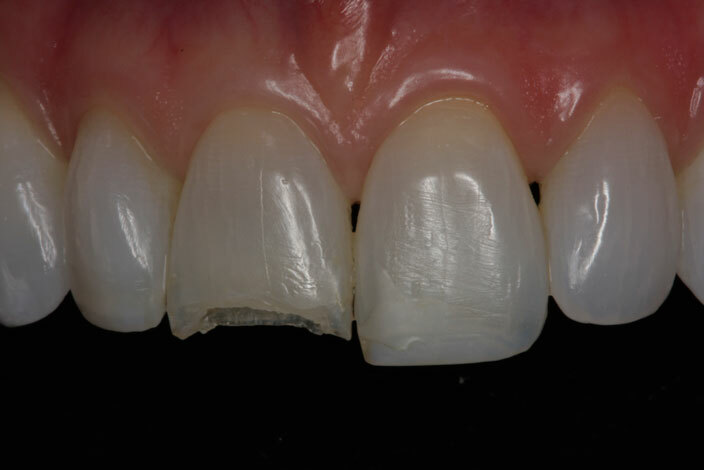 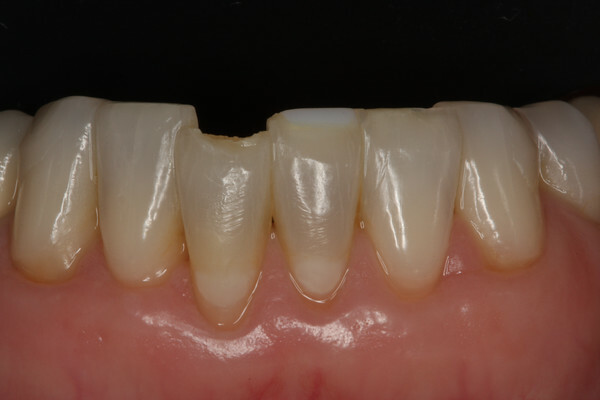 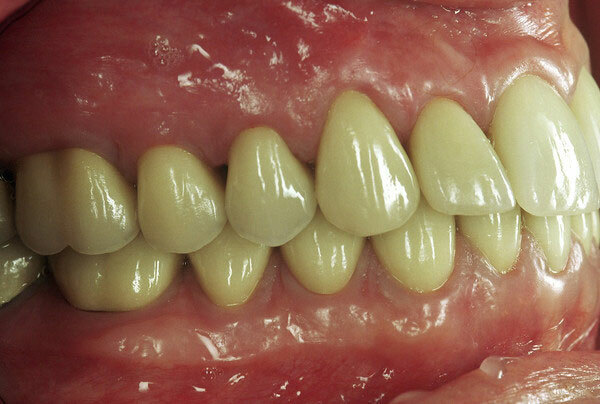 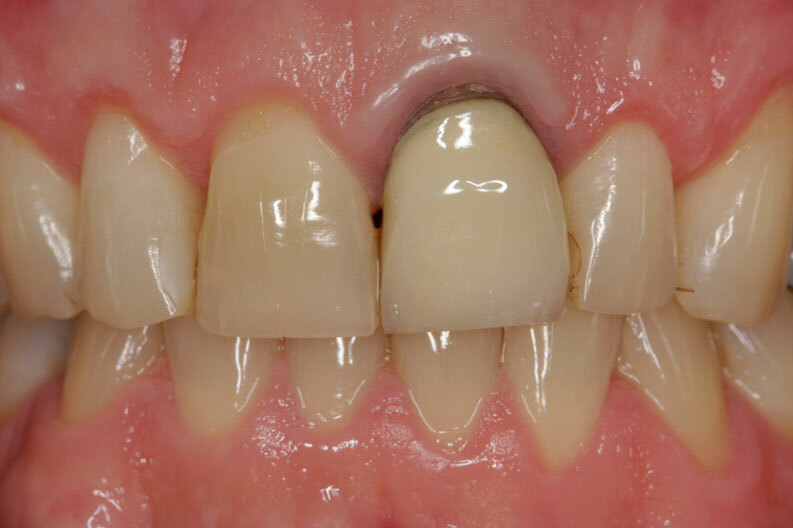 Placing a porcelain bridge restores the shape, strength and function of the bite. 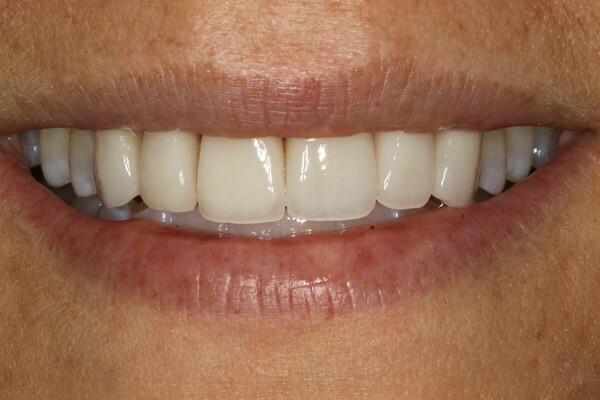 This patient was unhappy with the shape of her front teeth from chipping and wear. 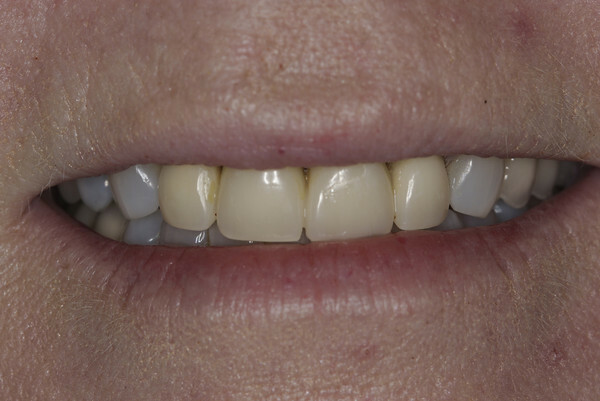 The form and aesthetics of her two front teeth were restored with tooth colored composite material in a single dental visit. 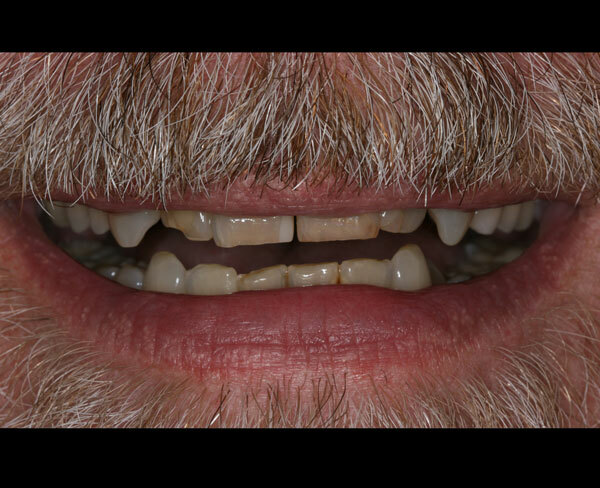 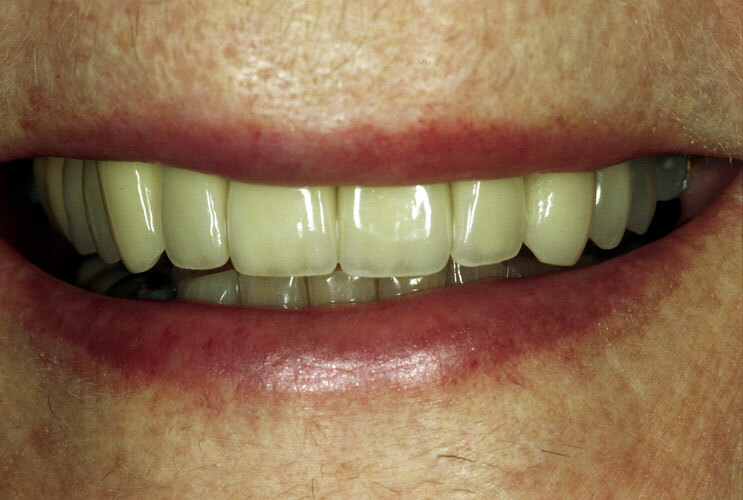 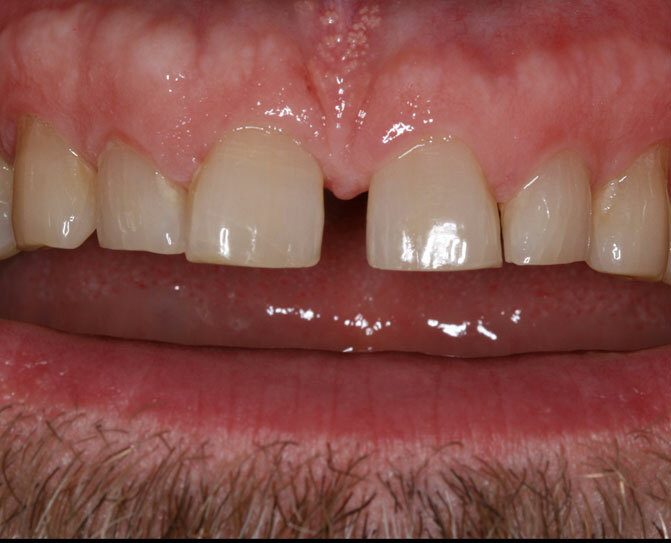 This patient bumped his mouth and chipped his front tooth. 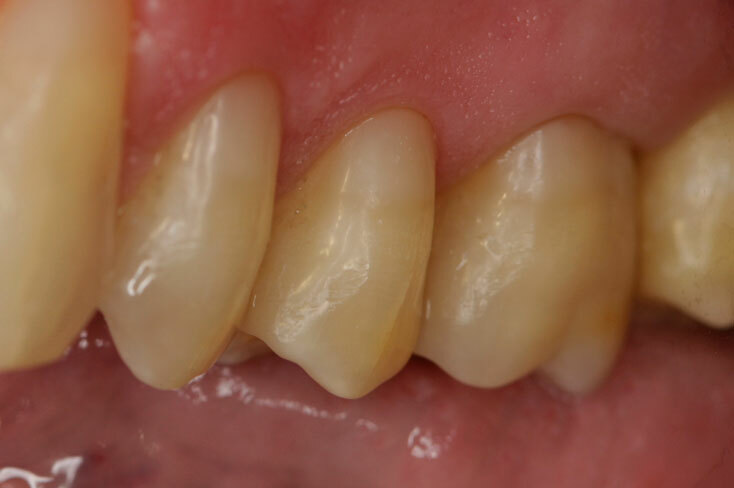 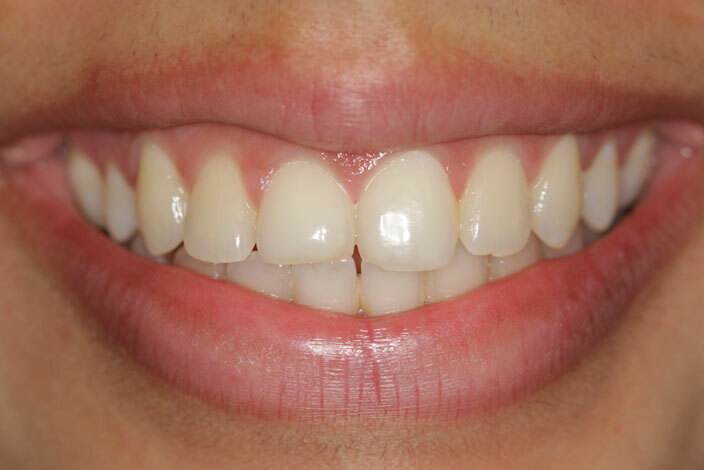 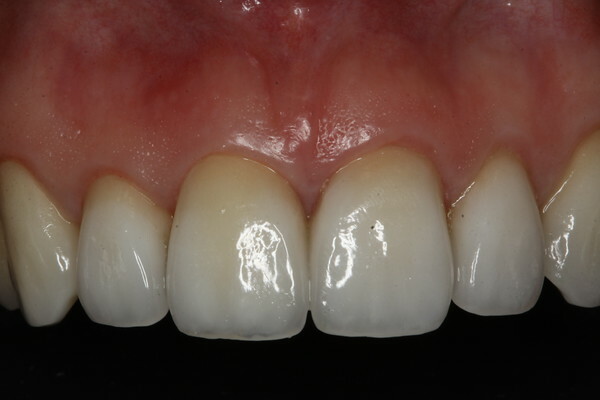 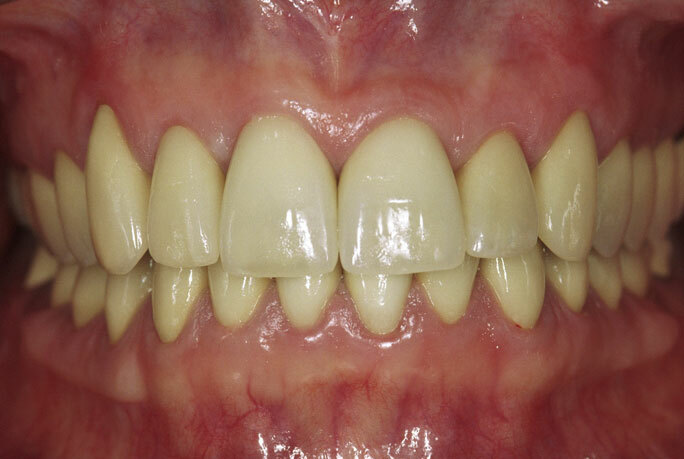 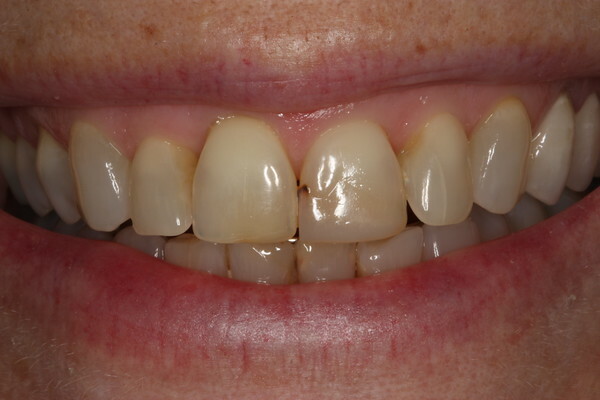 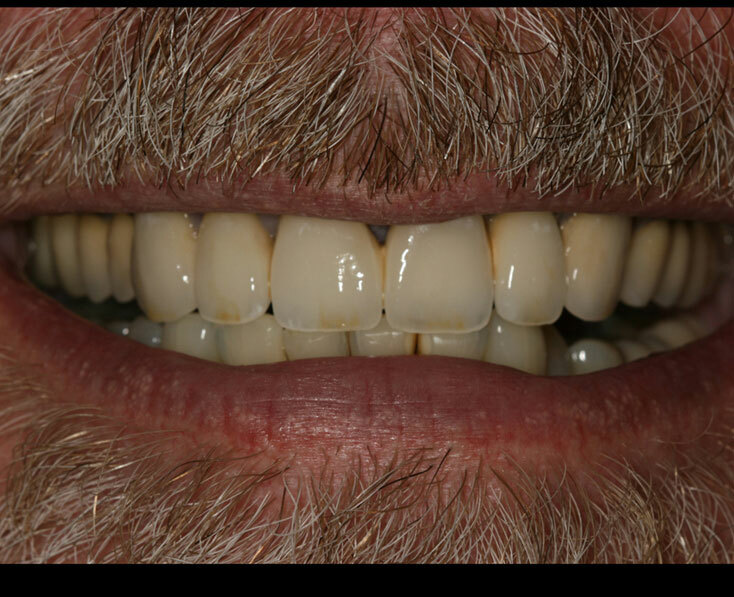 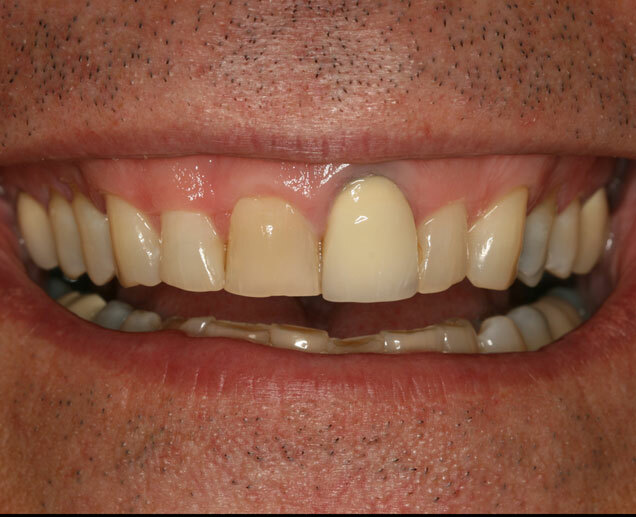 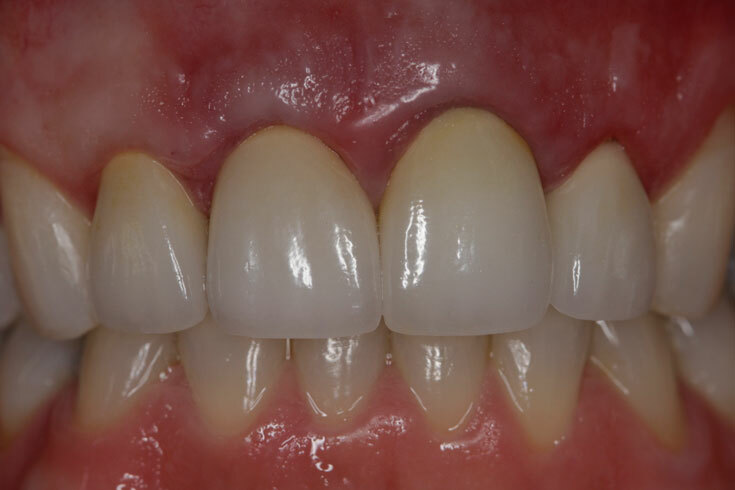 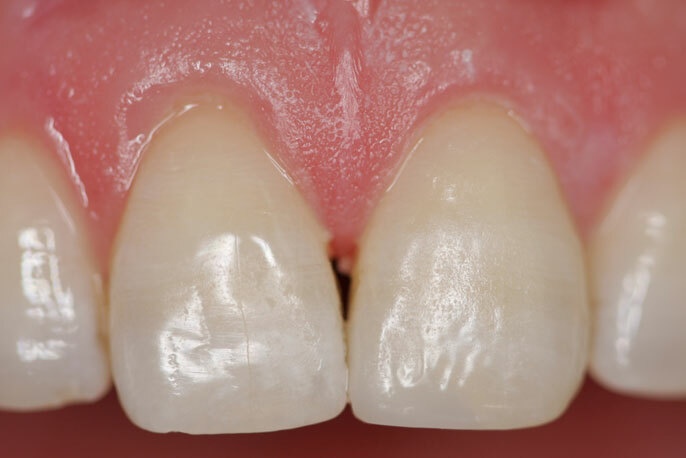 The tooth was restored using tooth colored composite in just one visit. 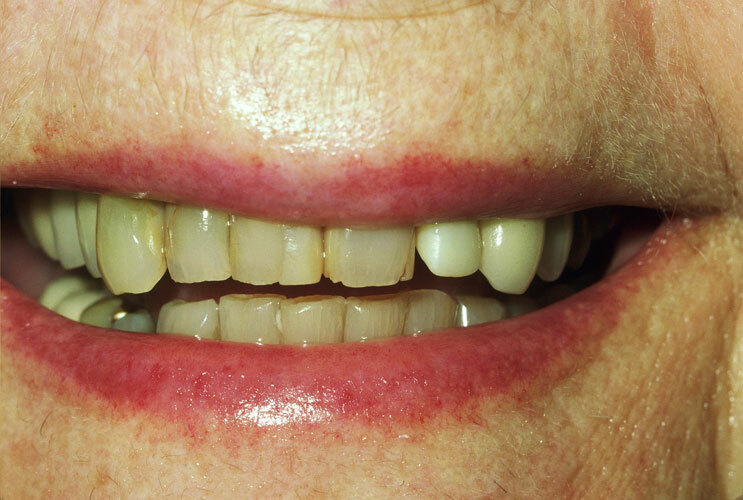 The notched area of tooth structure at the gum line is called abfraction and is the result of teeth grinding or clenching. 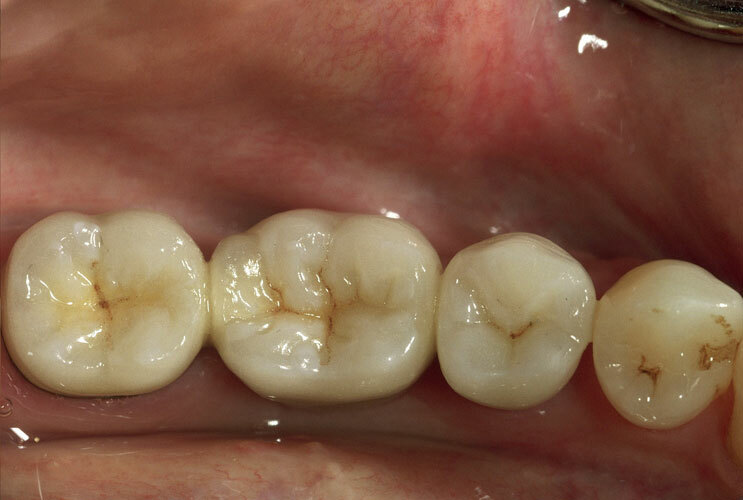 These areas are further compromised by incorrect tooth brushing technique, diet and even acid reflux. 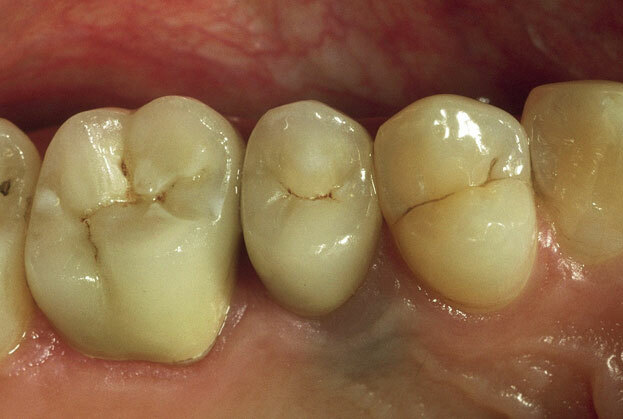 These areas can be sensitive to cold temperatures. 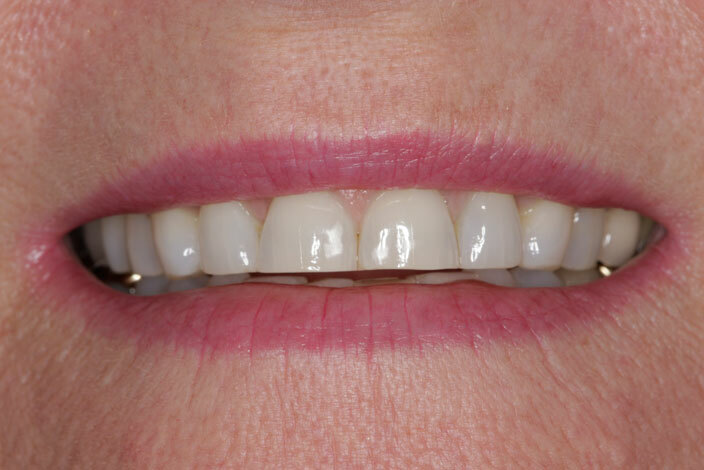 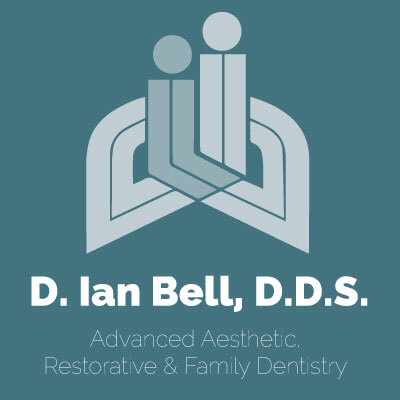 The notched area is restored with tooth colored composite material in just one dental visit.